The Lamborghini Miura was produced by the Italian manufacturer between 1966 and 1973. The Miura, when it was presented on the market, was a real supercar characterized by high performance and innovative design. 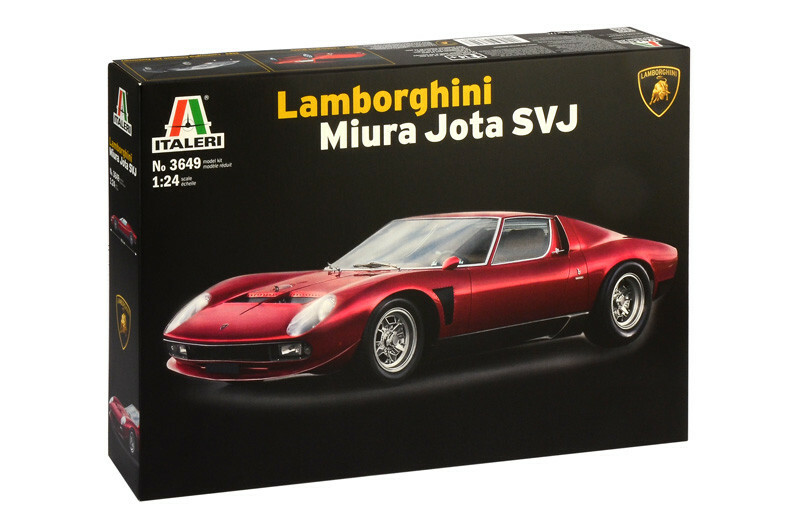 In 1970, on the layout of the Miura, a specific version dedicated for the competitions was created through improvements on chassis and suspensions. Other significant changes where implemented on engine power and on the braking system. The commercial name of this unique car with a power of 440 Hp and outstanding performances was “Jota”. However, due to several requests from customers, Lamborghini modified some Miura SV series with specification similar to Jota. These cars were identified by the acronym SVJ and became soon the dream of car experts and funs all over the World.